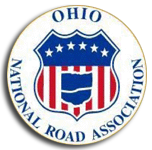 This fund was named after Glenn Harper, a founding member of the Ohio National Road Association, who has spent countless time and effort in bringing awareness to the preservation needs of the Road and seeking the resources to remedy them. This fund will be used as a source of matching funds or total funding for specifically selected preservation projects along Ohio’s Historic National Road. If you prefer to make gifts other than cash/check (i.e. stocks, mutual funds, etc. ), different instructions can be provided by contacting Patricia Lavy at patricia@springfieldfoundation.org or by calling her at (937) 324-8773. Please contact Ms. Lavy with any additional questions regarding this Fund.